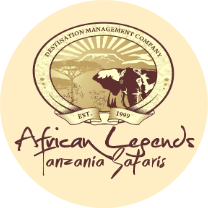 Serengeti National Park is located in the Northern part of Tanzania and stretches over an expanse of approximately 14,760 sq km. the park was initially established back in the 1920’s, although it was declared a National Park in the year 1951. It is prominent internationally as an place with of splendid wildlife viewing. In particular, the park is well-known for the vast herds of wildebeests plus zebras which annually migrate through these plains each year after the rains as they look for fresh pastures. This word ‘Serengeti’ was derived from a word in the local Masai language for ‘endless plains’. The park is located on a towering plateau between the Highlands of the Norongoro to the east and to the west, is the spectacular Lake Victoria. To the north is the Masai Mara Game Reserve of Kenya which actually forms the northern-section of the Serengeti-ecosystem. 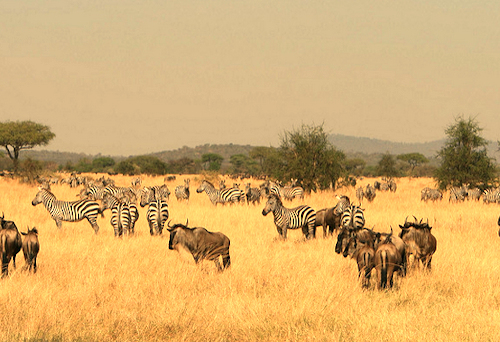 Many people regard the Serengeti as best game park in the whole of Africa. All through the year, an abundance as well as diversity of Animals and birds are frequently seen within the park. The most outstanding feature in this park is the overwhelming number of wild animals in the plains during the yearly migration. In addition, it is prominent for its exceptional safari lodges as well as the stunning granite outcrops (kopjes) which project high above the plains. Numerous varied types of animal habitat are in this park and these have provided shelter to a wide diversity of species. in general, the park can be partitioned into d regions. The north, is hilly with woodlands, the southeast is characterized by short plus long grass-plains, the western corridor holds far-reaching woodlands as well as black clay-plains, while the centre has acacia woodlands plus savannah. Every vegetation zone draws various animal species. Between the months of July to September, these animals are in the northern part of the park as well as in the neighboring Masai Mara Game Reserve found in Kenya, and this is their refuge for the dry season. From mid-September the animals move south past the beautiful lobo wildlife lodge to the short grass-plains in the Nabbi Hill as well as the gol mountains around the month of December. Those animals that would have survived the lengthy migration trail calve between January and February within this area, prior to continuing with the search for fresh pastures and water in May. The estimated distance tailed every year is about 800 km. the great herd of wild animals is estimated to comprise of over 1.5 million wildebeest and about 30,000 to 40,000 burchells zebras.